At the Annual Golden Bean Coffee Roasters Competition, Montefiore’s Café Monte blend won a Bronze medal out of 1500 entries in the ’Milk Based (Latte)’ category. Susan Vickery, General Manager Hotel Services added, “In response to customer feedback we wanted a product that matched their specifications which lead us to source what is now a Bronze winning blend. 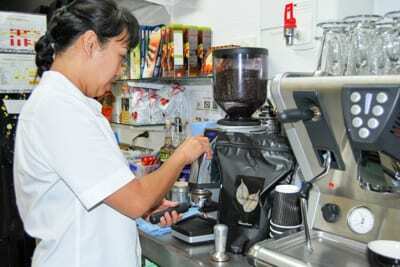 We have also added new coffee machines and Barista training to further enhance the experience.” Café Monte is available in the Randwick and Hunters Hill cafes for purchase where your 7th coffee is free through Monte’s Loyalty Coffee Card. Alternatively, you can purchase the whole bean blend at our cafes for use at home, or why not give it a try at Montefiore’s upcoming Annual Fete.